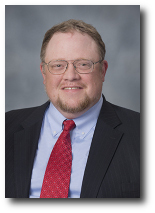 Greg Henrikson, Partner at Walker & Eakes LLC an Anchorage Alaska insurance defense law firm. Greg Henrikson has been practicing law in Alaska since graduating from the University of Oregon School of Law in 1998. Greg served as managing editor of the Oregon Law Review and won the Fredric R. Merrill Award for his comment, Perfecting Oregon's Land Sale Contract: Beyond Notice and Cure, 76 Or. L. Rev. 945 (1997). His article, Dimond, Not Daubert: Reviving the Discretionary Standard of Expert Admission in Alaska, appeared in the Alaska Law Review in 2008. Parks Hiway Enterprises, LLC v. CEM Leasing, Inc., 995 P.2d 657 (2000) (liability issues in underground storage tank litigation). Greg joined the firm of Walker & Eakes in 2007. He became a partner in the firm in 2018.